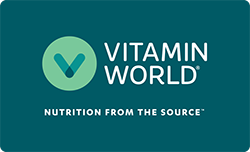 Home | Sale | Buy One Get One | Select Vitamin World and Precision Engineered | Magnesium 500 mg.
Magnesium is an essential mineral that’s essential for bone structure and mineralization. ** It’s also involved with muscle contractions, nerve impulses, and energy metabolism. ** Just one caplet a day provides you with a high-potency source of Magnesium.